When it comes to camping, you must make sure that all the need gear and supplies are in place and you are ready with everything that you might need out there in the outdoors. A camping trip may require you to spend quite a few bucks on the camping gear including a tent, a stove, cooking utensils, a sleeping bag and many other supplies. Thus it is always good to think of ways in which you can cut down on your costs so that your camping bill doesn’t mount up. The first benefit of buying a used camping tent is the cost. A new camping tent can be an expensive thing to buy, especially when you don’t plan to camp that often. On the other hand, a used or second hand camping tent can be almost half the price and even less in some cases. 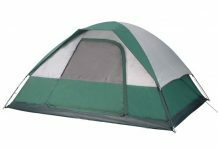 Camping tents do not wear out easily and even the used ones are mostly in good shape. Buying one can considerably reduce your expenditure. Another benefit of buying a used camping tent is for new campers. 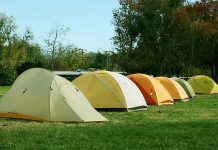 When you are new to camping, then buying expensive tents can be risky especially if you don’t have the knowledge of the various kinds of tents. If in case the tent turns out wrong, there is no option for you but to cry over spilled milk. But if you purchase a used camping tent, then there is still some redemption and you won’t regret it as much. 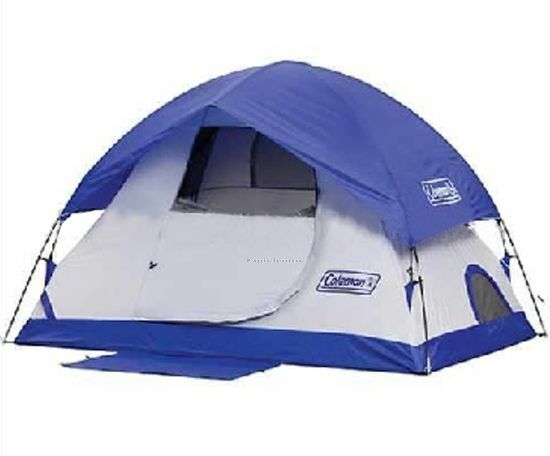 To be safe, it is thus best to go for a used camping tent, for your first few camping trips. 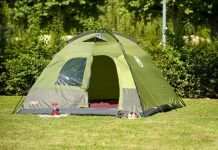 Another major benefit of buying a used camping tent is for those who hardly ever go for camping trips and need a tent only for a rare outing. 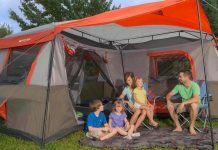 Buying a new tent when you are unsure of becoming a regular camper can be a total waste of your hard earned income and in such a case, it is always best to buy a second hand tent in order to minimize your spendings. 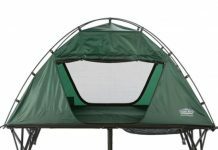 A used camping tent is also a more eco-friendly option because that avoids the need for it to be dumped by the previous owners and also helps you save the environment by not purchasing a new one. By buying a second hand camping tent, you ensure that the environment isn’t harmed by an old tent. 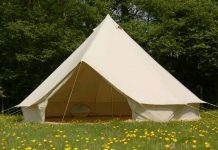 A used camping tent is a tried and tested product which means that it worked for the previous owners. Thus it would be safe for you to invest in something which has previously produced good results.